After appearing in a number of examinations during the period of undergraduate studies, one would think that a postgraduate exam should not be any different. However, unfortunately, this has proven to be a significant hurdle for many trainees. This concise, easy-to-read book has been written to guide candidates on navigating and succeeding in the Fellowship of Royal College of Anaesthetists (FRCA) examinations. To pass it not only requires a great breadth and depth of knowledge, but also requires an ability to present it in the correct format. This book helps trainees to study effectively and maximize their performance during the exams. The first half of the book provides the fundamentals of adult learning, which includes motivation, time management, study skills and the right environment. This helps the candidate in developing the right mindset to start exam preparation. Even though a lot of these skills should be instilled during school years, this may vary between institutions and it is still good to re-emphasize the importance of such skills especially when there are other commitments in life as you get older. It is important to be reminded on the importance of managing our time wisely, finding a balance between work and relaxation, and making use of every opportunity in order to learn. However, this may be less helpful for those candidates who have already started exam preparation and would want more focus on the actual examination technique. One of the topics which provides useful information is the chapter on study skills. There are a wide variety of study aids available, from textbooks to e-learning and podcasts. Using a mixture of revision aids can help to consolidate what you have learnt. More importantly, going through past papers and reading examiner’s reports can particularly be useful approaches for the preparation of each examination topic. The second half of the book is focused on the structure of the primary and final FRCA exams. Knowing how many questions there are and the time allocation for each question is crucial for passing. The author has gone through the specific skills in tackling MCQs and Single Best Answer (SBA) type questions. The SBAs were introduced into the FRCA in 2011, yet many candidates still find them a difficult part of the exam. Practicing questions with the strategy suggested by the author can be extremely helpful. The short answer questions require more skills in organization and time-management and the author repeatedly stresses how important legible handwriting is. There are good and bad sample answers provided in the book which give an examiner’s perspective of what is expected. Lastly, the viva requires a lot of practice. The structure of the viva exam is split into a clinical long case, short clinical cases and four viva questions. Knowing what to expect can help alleviate anxiety and allow target learning. The skills in viva are to listen carefully, focus on the question without digressing and to strike a balance in answering questions completely with minimal need for repeated prompting from the examiner. In summary, this book is easy to read and concise in providing strategic study skills to maximize first time success. It has a number of useful tips and techniques on how to approach the different types of questions. It covers common problems which candidates will inevitably face. The book is, obviously, focused on the FRCA but we feel that it would also be very useful for other postgraduate examinations in anaesthesia (e.g. FANZCA, FHKCA, American Boards) and in fact, there are many standard points in exam preparation and conduct that would be extremely helpful to any postgraduate medical examination candidate. 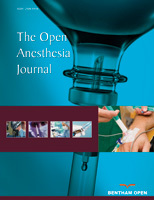 We thoroughly recommend it to all trainees in anaesthesia.